This die cast pirate's pistol cap gun is about 11" long. It fires 8 shot ring caps, sold separately. Be sure to order plenty of refills on the caps. 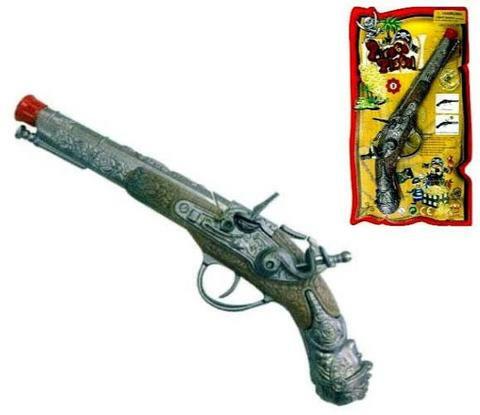 Price is for one pirate's cap gun.